You can essentially build your bed from the ground up with Casper offerings. Casper enthusiasts can enjoy pillows, sheets, duvets, adjustable bases, foundations, and bed frames. Casper also offers dog beds in three sizes and three colors. Here at House Method, we believe in environmental responsibility, and Casper is one of the leading mattress providers that meets strict environmental standards—keeping customers, and the planet, safe. Casper materials are free of harmful, ozone-depleting chemicals, and low in volatile organic compounds (VOC) emissions. Paired with free shipping and returns, exceptional customer service, and a 100-night trial period, Casper is the all-around package. Read more Casper mattress reviews below. Casper does not differentiate when it comes to the firmness of their mattresses, but according to their many customer reviews, Casper mattresses have a medium–firm feel (roughly a 6.5–7.5 on the 10-point firmness scale). Casper owners also claim that the mattresses maintain their firmness from edge to edge, so edge-of-the-bed sleepers need not worry about wearing down the sides. The only Casper mattress that offers targeted firmness to relieve hip, neck, and shoulder pressure is Casper’s luxury model, The Wave, which uses contoured memory foam. Casper offers free shipping on all mattresses. Orders usually ship within four business days. Casper offers a 100-day, risk-free trial period. If you decide to return your mattress during the trial period, you can expect a full refund. Not only will Casper pick up your mattress for free, they’ll also donate it to a local charity at no extra cost to you. Casper offers a 10-year warranty on all mattress types. 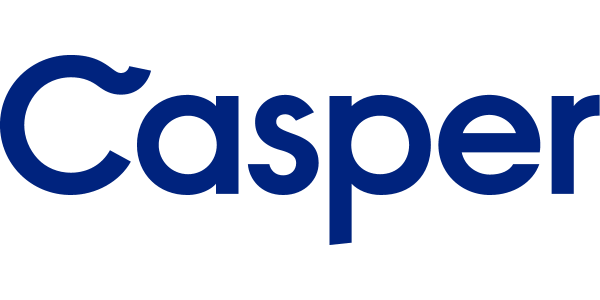 To determine which Casper mattress is right for you, view the Casper mattress reviews below. All reviews are pulled from the Casper website. Sylvia from Torrance, CA, reviewed the Essential mattress. Jim from Grant, NE, reviewed the Wave mattress. Natacha from Queens, NY, reviewed the Casper mattress.